Yesterday I went to PushStart Mentor Connect. I had the opportunity to “speed-date” with David Jones, Brad Lindenberg, Dave Cunningham and Simon Foster. The challenge I asked them about what around how to bring more people to the website (probably a very common challenge). When people try TaskArmy, they like it but the challenge I have is to drive people to the website. The main recommendation I got from the mentors was that I should focus my offering even more. Instead of focusing on website related tasks (which I thought was already quite focused), I should be focusing on one service or a smaller category of services (like 99designs focuses on design only). It should also help with SEO. Next step: review the web analytics to find which category to pick and trim the directory down to a focused list of services. Today I would like to show you how to quickly review a website and find low hanging fruits in terms of SEO, marketing and other technicalities. 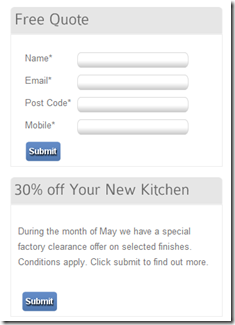 I will review the website of Blue Tea that offers kitchen designs in Sydney. Did you register your website to Google Webmaster Tools? If no, do it now. Done? Now, please set up your preferred domain name inside Google Webmaster Tools. Go in “Site Configuration / Settings” for that. Note: You will need to claim both the root domain yourdomain.com and the www.yourdomain.com in Google Webmaster Tools in order to be able to set the preferred domain name. I personally believe www. is redundant so I set my preferred domain name as being the root domain. Have you submitted a sitemap? If no, you can install some WordPress plugin that will generate it for you. If yes, check that the ratio of URLs in web index / Submitted URLs is healthy. A too low number would mean that the Google Crawler has difficulties to crawl your website. Are there any reported errors (under “Diagnostics / Crawl Errors”)? 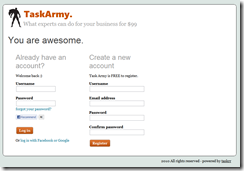 Have you done any keyword research? Your website needs to focus on certain keywords. At the beginning you want to focus on high-ish volume / low competition keywords. If you are not sure how to do it, I teach it in the free email course I set up. 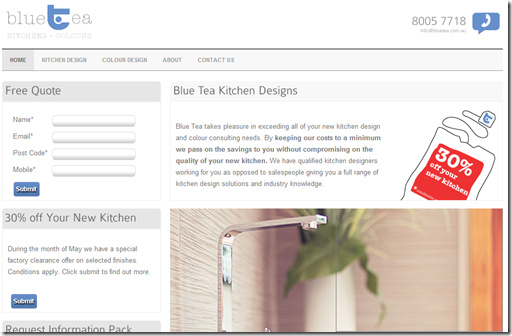 For Blue Tea, the keyword is “kitchen design sydney”. Although the volume of searches is quite low (720 per month), it will bring good qualified traffic. Is the main keyword present in the title of the front page? Does the front page have a <h1> tag with the main keyword? No! Ahhhhhhhhh. This is a big SEO opportunity. The main title on the page is a <h2> tag only, and doesn’t contain the main keyword. Does your front page have a convincing meta description that contains the main keyword? 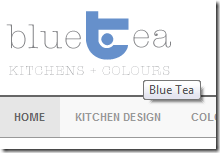 The current meta description is “BlueTea, Specialises In Designing New Custom Made Kitchens And Colour Consulting. Book A Free Consultation With One Of Our Professional Interior Designers Today.”. It is already very good but I would try to insert the main keyword so that it gets displayed in bold in the search results when someone searches for “Kitchen Design Sydney”. By the way if you need someone to do these changes for you, I can personally recommend Neerav our popular PHP freelancer. Do all the images have a “alt” attribute with important and descriptive keywords? On most of the pictures of the website Blue Tea, the alt attribute is missing. This is another good SEO opportunity. Decorate your images with alt attribute that contains relevant keywords, especially the logo. Does the website have enough content targeting the important keywords? Blue Tea has done a great job in writing articles that include some important keywords. 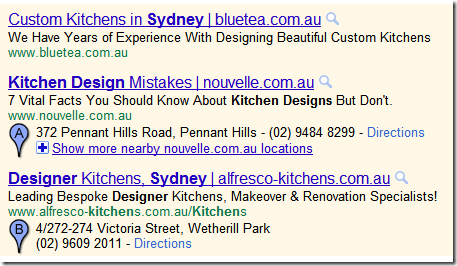 Unfortunately they are still missing the main keyword (kitchen design sydney). Do the articles pages have good URLs? I then look at the link structure of the article pages. For example, the article “Kitchen Design with Island” has the following URL:http://bluetea.com.au/new-kitchen-articles-2/kitchen-design-with-island. It is great to have urls composed of domain.com/category/title. If I were perfectionist, I would remove the “articles” in the category url as it doesn’t give any value to Google or the user. Can I find the main keyword of the article in the <h1> tag and the title? 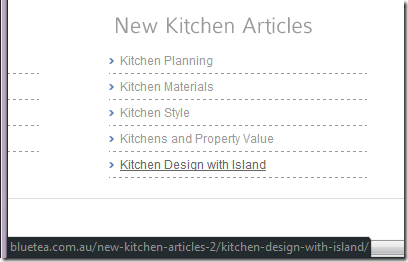 If you go on this article on kitchen planning, you can see that the <h1> is optimized but not the title! Currently the title is “New Kitchen | Blue Tea”. This is another big SEO opportunity… I would suggest “Kitchen Planning | New Kitchen | Blue Tea”. Does the front page contain a way to grab the visitors’ email address? Is there any call to action on the front page? Yes there is and the buttons stand out from the rest of the design. My only suggestion would be to rename the “Submit” labels into something more catchy. Is there any trust factor? Did you set up a Google AdWords campaign? Important ranking first doesn’t mean anything. You need to track your conversions (Google AdWords gives you a code to insert in your “visitor is converted” page) to know what you are spending in Google AdWords is less than the amount of business it brings you. If you estimate your lifetime value of a customer at $1000, it means you need to spend less than $1000 in Google AdWords to get a sale from it. Don’t only look at the CTR metric in Google AdWords, sometimes an ad that attracts clicks in Google might not convert well on your website and will end up costing more overall. Should you set up Facebook Ads? Facebook Ads works differently than Google AdWords. Google AdWords has a pull model: the user searches for something, and your ad is displayed. Facebook Ads has a push model: the user doesn’t ask anything, he is just on Facebook, and you push your ad to him. The nature of the ads you would use on Facebook Ads must by nature be different from the one you use in Google AdWords, and most of the time it might not be worth using Facebook Ads at all. Anyway, if you want to advertise on Facebook Ads, I would suggest you to advertise two things: events you may organize, and freebies that will require the user to give his email address. Facebook Ads is so good at targeting locally that advertising local events on it is very efficient. A friend of mine has recently started organizing salsa classes next to where I live and I set up some Facebook Ads to kick-start the perceived popularity of his first classes. It worked like a charm (and for super cheap)! Did you register your business to local directories? If your business is local, the most important website to register to are Google Places, Yelp, TrueLocal.com.au (there are many more, I let you look for them). 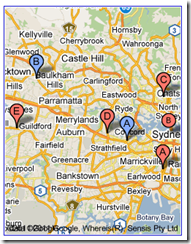 Registering in Google Places will allow your website to appear in the Google Maps area. If you need someone to help you rank in the first page of google, I highly recommend Marius. 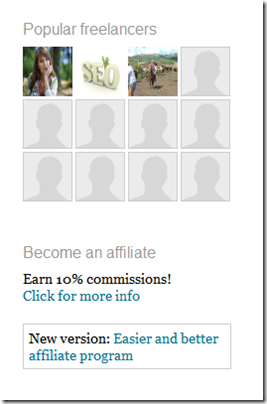 Are you set up to passively discover link building opportunities? For non local businesses, I would recommend you to subscribe to keywords in Google Alerts to receive emails whenever Google indexes a new page that contains the specified keyword. I use it for example to track who speaks about taskarmy. For local businesses I would recommend you to find blogs in your niche (including the blogs of your competitors) and subscribe to their RSS (I use Google Reader for that). Every day, I review the new blog posts, and if there is something interesting I add to the article, I leave a comment, including my website URL when the form permits it. This will help a bit with SEO, but although with traffic. Finally, thanks to Google Alerts you can discover new blogs where you can comment but also and more importantly guest-blog. Guest blogging is the practice of offering a blog post to a blogger in exchange for a backlink to your website. Do you have any web analytics in place? Google Analytics is free and it provides everything you need but I’d like to mention GetClicky (not free) that provides real time reports. This is what I use on taskarmy. On the long run, the web analytics will tell you if you are getting results from your SEO effort. Once your website starts getting sufficient traffic (about 100 per day), I’d suggest you to do some split-testing to see which call-to-action, which copy works best in converting your visitors into prospects. You can use a tool like Google Website Optimizer but I highly recommend Visual Website Optimizer (unfortunately it is a bit pricey once the trial period has expired: $40/month). I am planning to review more websites in the coming weeks. Let me know if there is a website I should review. This is the slides I have used for my pitch at SydStart 2011, please let me know what you think of the content, thanks! Thanks to Pollenizer for sharing their universal pitch deck template! Recently I signed up for a website called FeedbackRoulette.com where you can review other people’s websites and they review yours in exchange. 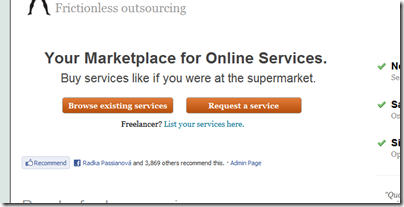 After doing a few reviews for other guys (especially liked LuckyOrange) I started receiving feedback for TaskArmy, my service marketplace website. Although all of them liked the idea, they mentioned the busyness of the landing page: “Cramming too much on the landing page.”, “there is too much information thrown at you all at once”. 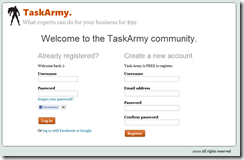 What are the goals of the TaskArmy landing page? 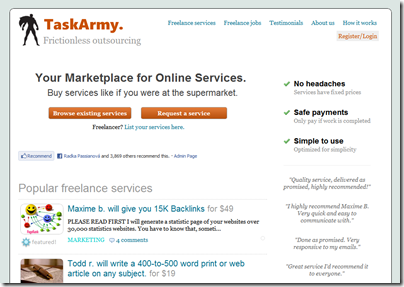 When TaskArmy started, I wanted freelancers to list their services more than anything else. Without valuable services and talented freelancers, there is no point bringing potential clients on the website. Nowadays, I want clients to interact with TaskArmy more than before. And more importantly, I want them to buy existing services as opposed to requesting a job (which has a longer time-to-completion cycle). I am glad I asked for feedback because I didn’t realize it was so busy. 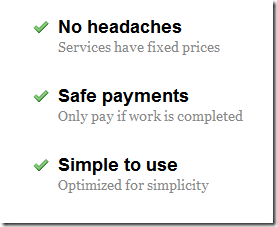 So I asked myself: “What is not essential on this landing page?”. Maybe the Twitter/Rss/Facebook buttons could be removed, as well as the lower part of the sidebar. 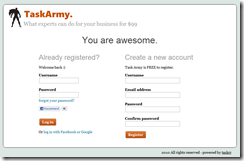 Then I took a different approach, what would be essential on my landing page? I added some whitespace around this text though to make it more visible. 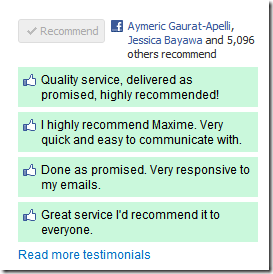 I added some genuine testimonials from clients on the right side of the popular services box. 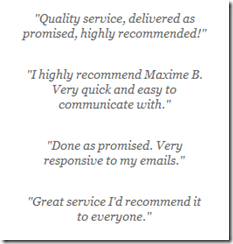 As you discover the popular services, you will stumble across the testimonials. This one wasn’t present in the previous version of the landing page and I had to come up with the most important points that make TaskArmy.com a good choice. Today, I feel the main benefits of TaskArmy is that it is easy to use, safe to use and remove a lot of choices for your benefit (the price you will pay a service is decided for you and you don’t have to pick a candidate in a long list of job applicants). I decided to make the landing page speak to only one side of my audience: the buyers. The reasoning behind this is that TaskArmy already has a great range of services and now more clients is more important than more freelancers. I chose to put the “Browse existing services” button first because it doesn’t require any registration and I prefer people to buy an existing service rather than having to post a job and wait for freelancers to apply. This is something that is still lacking the new landing page and I should do something about it. I have removed most of the elements of the sidebar and the “latest services” and “latest jobs” boxes. I hope this article gave you some ideas of what to improve of your landing pages. I read a lot of articles each day, most of them related to entrepreneurship and tech startups. Recently on Hacker News, someone mentioned that instead of reading that much, I should try to write about the articles I read. I’d read less but I’d retain more. So I asked myself today, what have I learned from what I read today that would be worth sharing? Well, turns out, it is not an article per se. 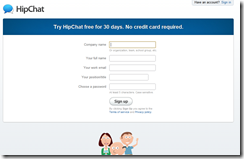 One of the articles was pointing to HipChat, a Campire competitor. Looking at their website, I ended up on the Sign Up page and the way they designed their page reminded me of this simple rule: when you want your user to do something specific, do not distract him. I could remove the links on the top, remove the sidebar, center the forms and change the headline “You are awesome” which sounds pretty lame now that I think about it. Let’s do it! It is now 10:14, out of curiosity, how long will it take me to have a new version of this page? Which title would help conversions better? This is a perfect candidate for A/B testing. I am currently running other experiments so I will split-test this a bit later. Anyway, I went for the “Welcome to the TaskArmy community.” variation out of a gut feeling. It is neutral and still makes you feel you are part of something. Exercise: Could you come up with other suggestions? Please post them in the comments. Done. Experiment ready and deployed in 12 minutes. Is it still possible to be a successful developer on Facebook? Recently InsideSocialGames published the article “the future looks bright for small developers on facebook” where it analyses the growth of the top small developers on Facebook. I believe that it is way harder to be successful today than it was a year or two ago and it is a conscious effort from Facebook to make it so. How was Facebook using the application development ecosystem a year or two ago? Facebook wanted to expand. Country by country, month by month, you could follow the impressive expansion of Facebook. As a developer, you could follow the adoption rates in each country and target the last trending country. I entered the Facebook market when French people started using Facebook and then I targeted the Spanish-speaking market when countries like Chile and Argentina started using Facebook six months after the French population. Facebook wanted to grow and was giving the developers the tools to reach new users. The notifications system and wall posting were the most viral channels in the developer toolkit. Today, Facebook has a different strategy and has adapted its API accordingly. Facebook wants user retention. Facebook gives you tools to reactivate the users of your application but makes it harder for you as a developer to reach new users. 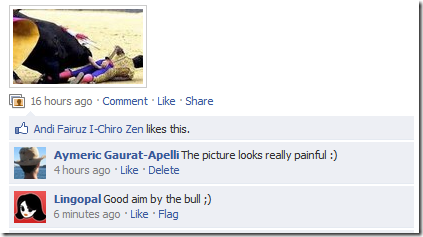 If you are a Facebook user who don’t play games, you won’t see these wall posts about the lost black sheep anymore. Another factor that makes it harder for a new entrant to be successful on Facebook is that the quality of the top applications on Facebook has increased in the last year which has changed the expectations of the average Facebook user. If you are a solo developer trying to promote your little game, you need to put more effort into polishing the perceived quality of your application because the competition is so much stronger. You will always hear success stories of new applications having an exponential growth on Facebook. What the stories don’t tell you is that most of them are backed up with paid traffic. 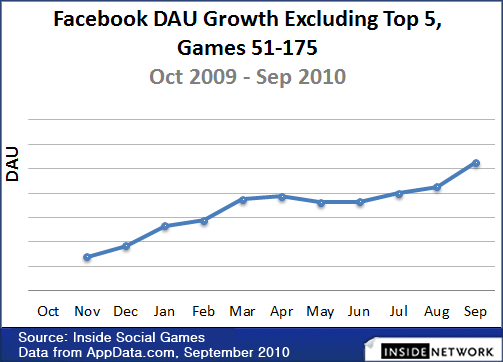 Zynga has acknowledged the fact they were spending several millions of dollars per month to promote their games. – target a growing market if possible. Brazil hasn’t fully adopted Facebook yet (they are still on Orkut), there is a huge opportunity there. 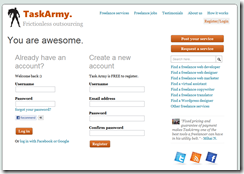 – emailing is still the most effective way to contact your users. I would like to share with you two Facebook pages that I find fabulous and that are good examples of how to grow a loyal following in a Facebook page without the budget of RedBull or Starbucks. So why is the Facebook page so special? 3. Interesting regular posts. But the best part of the Facebook page are the daily diversions! Everyday or so, they post a funny / witty / interesting expression of a different language, together with a well picked picture. Why is it a perfect example of how to run a Facebook page? Because they have found a theme that allows them to post regularly, that is related to their products, that is not spammy, that is viral and engaging, and the picture makes it more visible in the Facebook stream. All the best practices combined in one post. Although the page is still quite recent, I can definitely see it getting traction in the next weeks because it has all the components for success without overdoing it. Too often I see Facebook pages with thousands of applications (polls, discussions, top5, quizzes, …) that nobody uses. Just focus on one thing and do it well and your page will become remarkable. 5. Give away (some of) your services for free. On July 20th, a group of designers from Czech Republic posted an offer. They will review the design and usability of your website and publish their comments to their Facebook page. The announcement alone received over 8000 visits. 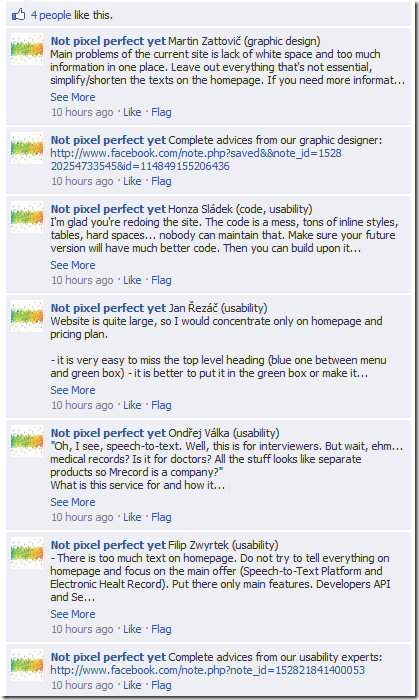 You can check out the Facebook page of “Not pixel perfect yet” to read the different reviews they have already posted. 7. Have a clearly defined audience. There are certain things in the NPPY page that are not perfect though. 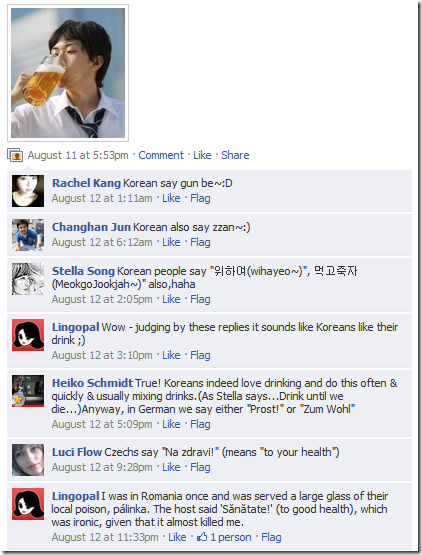 The most obvious one is that they mix English speaking audience and Czech audience. It means that when they post in English, they create noise for their Czech audience, and when they post an Czech post, they create noise for their English speaking audience. Try to avoid this in your own Facebook page by having a clearly define audience. This year is the year of the Facebook page. Every business wants one. Although Facebook pages are still quite a recent addition to the marketing / social media toolbox we begin to see some best practices emerging. What best practices have I not mentioned in this article? Please share them in the comments for everyone’s benefit. UPDATE: Just discovered an interesting article about 40 highly effective Facebook pages. Check it out! Ruby on Rails doesn’t stop to amaze me. 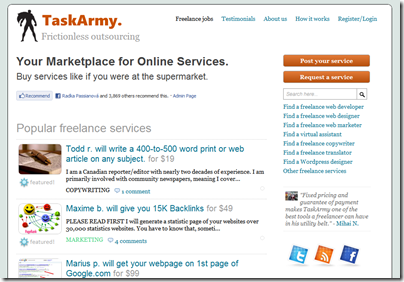 This article will show you how I got live search working on my freelance marketplace TaskArmy (if you enter ‘wordpress’ in the big textbox, you should see the search results appear automatically) in 20 minutes. var form = $("#live-search-form"); // grab the form wrapping the search bar. var url = "/tasks/live_search"; // live_search action. I am planning to improve this code to not do a search on every keystroke, but maybe allow a 1 second delay before the next search. The query q of the user is contained in the params variable that I pass to the search function. Here I am simply reusing the partial view (user control in Asp.net speak) that I use in different places in the website. And that’s it! Isn’t it amazing? Almost no plumbing at all (except for the jQuery bit). Note: I tailored this message around ‘Facebook Consulting Australia’ to help people find me in Google. I noticed a trend this year. More and more businesses are jumping on the Facebook marketing wagon. Although last year Facebook marketing was already hot in the news, ‘mainstream’ businesses are now asking for some Facebook consulting. Just this month, I was contacted by two clients to help them design and implement their Facebook custom applications (I had the nice opportunity to be sent to New Zealand) so I thought I would make this more official with this article. I am available for Facebook consulting and would love to help you. For two years, I was co-running a business that was developing in-house applications and games for Facebook. I used a wide range of monetization solutions and a wide range of application types (role-playing game, quizz application, serious game, utility application, etc…). You can see the different applications I have developed in the Creations page. Too often I see businesses throwing money on custom Facebook applications development or Facebook pages thinking that just because it is on Facebook, it will go ‘viral’. Unfortunately getting traction on Facebook is not that easy and it is actually becoming harder and harder as the Facebook market becomes more competitive. I can’t promise you that thanks to my services your application or page will get 100K fans/friends/likes in one week but I believe that I will be able to give you advices that will dramatically increase your chances of success. The Facebook world is a different world than the Twitter world, the mobile market and the internet in general. Different rules apply and I learned about many of them one application at a time. – I can help you define the best overall strategy on Facebook. Should you develop a custom application? Should you promote a Facebook page instead? Should you leverage the success of some existing applications? 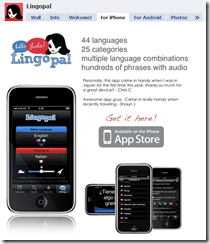 – I can design your Facebook application with you. I will sit with you and define the wireframes of the first version of your application, you know your audience probably better than I do so we will be working together to come up with a Facebook application idea that will be compelling to your target audience and that will leverage the Facebook viral channels. – I can help you outsource/manage your Facebook application development. I have been outsourcing a lot in the last three years and I believe it is a great way to cut costs without cutting quality if you have good processes in place. – I can develop your Facebook application. Finding time to work on your project as a developer may be harder as I am usually fully booked but this can still be an option. Contact me at aymeric[at]wiselabs.net if you are interested in hiring me for some Facebook consulting. Thanks.